Posted on June 13, 2012 . The lawyers over at Murphy, Schmitt, Hathaway & Wilson have been doing business in Northern Arizona and specifically Prescott for decades. 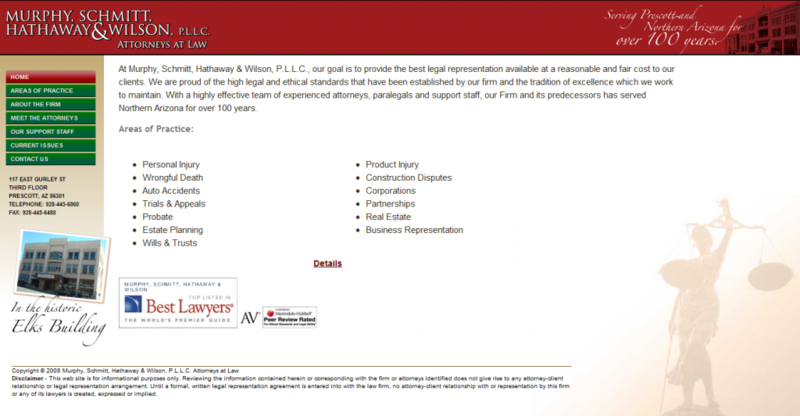 The law firm asked for a redesign to bring them up to par with other law firm sites in Arizona. Nothing really fancy was asked for, just a simple site that well represented their attorneys and their services. A reworking of the page layouts and their menus was done to interlock the site into a cohesive whole. Information about their services were made easily accesibile to their visitors. 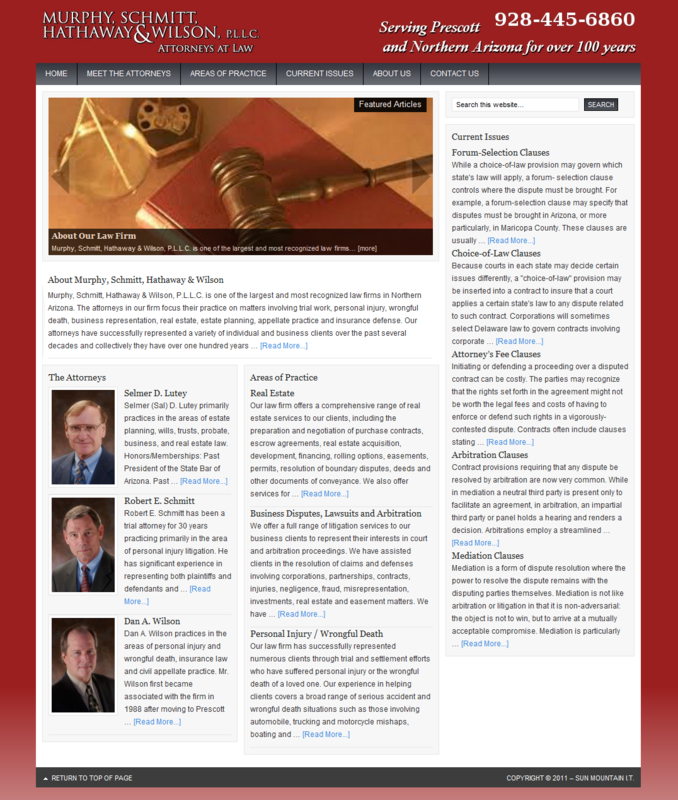 A slider was added to the homepage to feature the attorneys that are represented. Status: The design is complete. The client is assembling the final content before launch.